Click Here to Save $170! Check Out What Other Parents Are Saying About AMA! 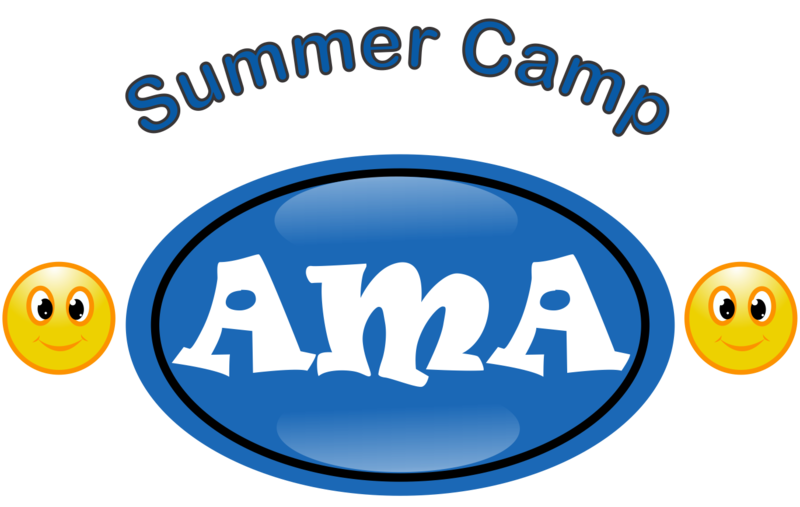 THE AMA Summer Camp is a great way for energetic kids to safely channel their energy when they are out of school. Parents have the comfort of knowing that even in the summer their children are continuing to learn in a safe and stimulating environment. Your child can spend his or her summer enjoying a variety of martial arts, and non-martial arts related activities, games and field trips. We understand that working parents need their children supervised during regular business hours on a year-round basis. Non-working parents still want their children to enjoy a full and fun summer experience, and have the opportunity to be with other children their same age. The objective is to create a fun and safe experience every day of the summer and encourage children to build good relationships, learn martial arts, and demonstrate responsibility by following directions and playing safe. Parents can concentrate on making the best use of their time with the peace of mind that their children are having fun, making good use of their time, and staying healthy from the various forms of exercise they have the opportunity to enjoy. We have been teaching martial arts in Pinellas County since 1980. That is more than 35 years! Children enjoy learning how to defend themselves while also learning the value of discipline, courtesy and respect. Martial arts are for everyone! Athletic and non-athletic children benefit equally! Karate Kids are Great Kids! Parents constantly tell us how much they appreciate how well their children demonstrate better manners at home and at school after becoming a member of our camp and martial arts community. We set aside each day to teach the importance of being a good citizen, friend and neighbor. Honesty, responsibility, goals, sharing, family values, leadership, gratitude, humility and healthy lifestyle choices are just a few of the character traits and values your child will learn. As physical fitness has become less available to our children the number of overweight and obese children has risen dramatically. Children have become more sedentary, less energetic and more averse to physical activity. Our Summer Campers are rewarded for their physical activity through our partnership with the Presidential Active Lifestyle Award Challenge (PALA). Every child that attends our camp for 6 weeks or more will receive this prestigious national award. Physical Fitness and healthy nutrition go hand-in-hand. Our Summer Campers learn about healthy food choices, the different food groups, nutrition labels, sources of calories, the difference between protein, carbohydrates, fat and more. They learn to select healthier food choices all on their own! Bullying has become a serious problem with young children and teenagers. Our anti-bullying education aligns perfectly with our martial arts training for children. Children completing this course walk away walking taller and more confident knowing they can handle the next bullying encounter skillfully. We go on field trips everyday! The field trip destinations include outside parks, game centers, swimming, Airheads, Ghatti Town, The Tamp Bay Rays, Play World, Clearwater Marine Aquarium and the spray grounds. We also invite entertainers for indoor disco parties, exotic animal visits, musical instrument experiences, police dog demonstrations and more! Summer Campers enjoy being creative with arts and crafts on Fridays! Parents always smile when they receive “interesting” heartfelt presents made by their children. Arts and crafts provide needed downtime to balance the busy activity schedule the kids enjoy at our camp. IF YOU’RE LOOKING FOR THE BEST SUMMER CAMP OPTION FOR YOUR CHILD, JUST CLICK THE DISCOUNT CODE BUTTON BELOW!